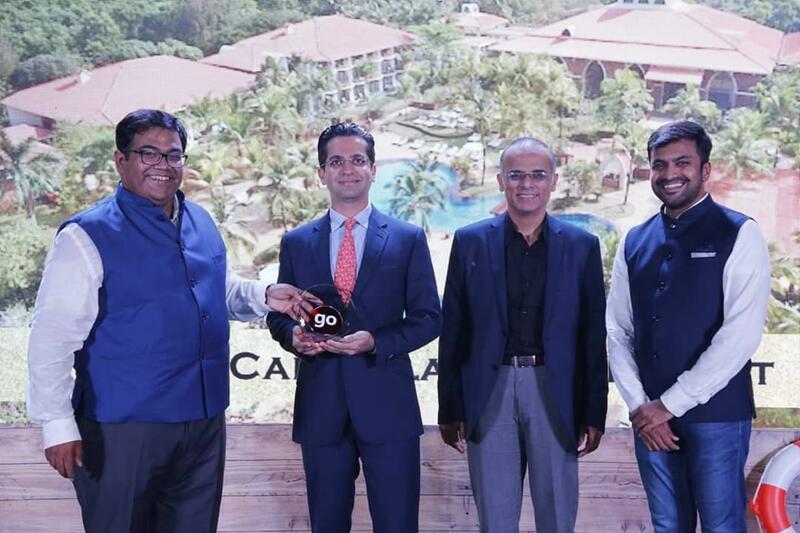 Goa, 4rh November, 2018: Caravela Beach Resort Goa, which is owned and operated by Advani Hotels & Resorts (India) Ltd. was awarded the GO-MMT Customer Choice Award for ‘Independent Hotels in the Premium Segment’ at the glittering ‘Star Partners Meet’ in Goa. The awards are given to select leaders in the hospitality industry for service excellence and are decided by an eminent jury on the basis of the reviews and ratings posted by verified guests who stayed at the hotel. The awards jury comprised of the Executive Committee of Go MMT. Winners are selected on the basis of the number of positive reviews. In addition, these reviews are verified (the guest needs to have stayed at the hotel and booked the hotel through Go MMT). This award has been a unique one for the Caravela Beach Resort as it was chosen the best hotel amongst the entire Premium Segment. Other categories included Upper-Mid segment and Mid-segment categories. Go MMT is the largest online distribution channel for Indians buying travel. With a database of over 3.5 crore customers, they also own about 60% share of the Indian domestic market that travel within India. Mr. Prahlad Advani, Director, Advani Hotels & Resorts (India) Ltd. who is based in Goa and responsible for the overall Operations of the Resort received the award on behalf of the entire Goa team. Mr. Prahlad also thanked the team of MMT and Go-Ibibo and their dynamic CEO Mr. 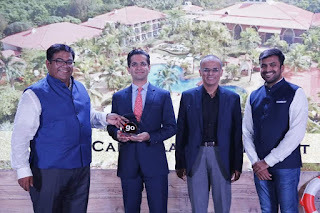 Deep Kalra, for their constant support, by which the Caravela Beach Resort Goa has managed to grow revenues and distribution in a remarkable way. The 5-star deluxe luxury beach resort has 203 rooms, several of which have direct sea views and includes 5 villas. The Resort is designed by the world famous architects WATG from the USA (who also built the Atlantis Resorts, Sun City, the Venetian etc.). The Caravela is built in terraced garden pattern in a 24-acre estate and is located on the powdery white sands of Varca beach, South Goa. The Resort is surrounded by immaculate gardens designed by Belt Collins Singapore and are home to unique birds and a large golf course.